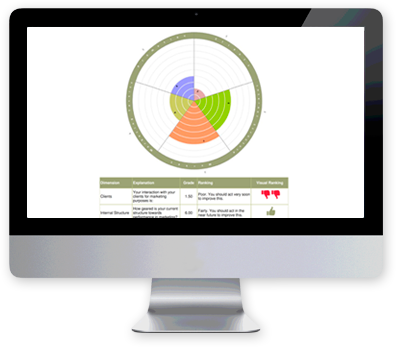 Marketing Lens™ is a business growth tool designed to diagnose and improve your current marketing activities. that shows you the areas to focus on to attract more customers. Getting a Marketing Diagnosis is the first step to getting a problem solved. Even if you don’t think you have any challenge in your business, you still want more customers, right? 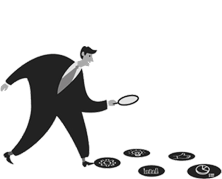 Start with the Marketing Lens™ Diagnostic to check your activities and efforts to attract customers. Self-diagnose and self-grow your business. Simple, quick and efficient. 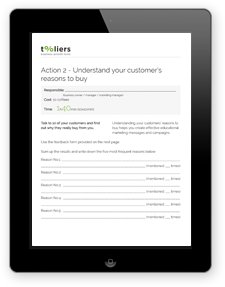 Once you are aware of the main marketing gaps within your business, proceed to tackle them, one by one, using the Tooliers Growth Program™ tailored to your needs. You will be receiving, right into your inbox, various actions to execute on. Spend on average only 15 min per day to take your marketing activities to the highest level possible. 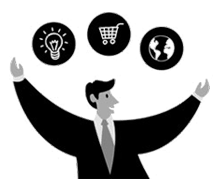 You do not need any marketing training, but if you have it, all the better. Take a sneak-peek into sample tactic you will be undertaking. You will be amazed how much you can achieve with little or no costs. The tactics you get address the areas where you need the most improvement. 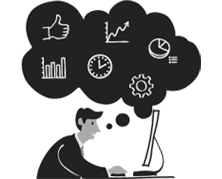 Business Growth Actions™, ideas and suggestions are thought to upgrade what you are already doing, and get the maximum number of customers possible for your business. With Tooliers Growth Program™ you do not need to take your precious time away from your business to read blog posts, business books or even undertake unnecessary trainings. Tooliers® is the all-in-one solution to grow your business. In the rare cases where you will need additional training and resources, we will be there to point you in the right direction. 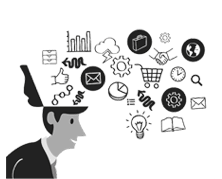 Marketing Lens™ has been developed using invaluable body of research. It was designed combining classic and brand new ideas about marketing using concepts coined by marketing experts such as Michael Porter, Philip Kotler, David Ogilvy, Seth Godin, Guy Levine, Neil Patel and Guy Kawasaki, to name a few. Recently I realized I was wrong. Although it seemed that I had everything that I needed for success, I still had many empty tables. I clearly needed someone/something to help me. I've been running a luxury restaurant & cocktail bar for ten years now. Never quite tested or thought out my marketing strategy, as I opened this business out of pure passion. Most of my customers are my friends. Recently I realized I was wrong. Although it seemed that I had everything that I needed for success, I still had many empty tables. I clearly needed someone/something to help me. That's how I came across Marketing Lens™. I took the questionnaire online and I got a report. Apparently, we do not communicate properly, focused on our customer, so my restaurant's image is suffering. I wanted to improve on various things, but I didn't know how to start. So I subscribed to the Marketing Lens™ Growth Program. Ever since, I have been receiving regular emails in my inbox with little things to do. I spend half an hour every couple of days, and I'm already seeing more tables occupied in my restaurant. Now I understand what working "on" my business really means, and I am extremely happy I discovered this online tool. Tooliers® helped us discover our unexploited potential, some new strengths in our niche market, as well as the areas where we were wasting resources... helped us re-shape our goals. Marketing Lens™ and Sales Lens™ are fantastic scanning processes which we used for two of our most important business functions. 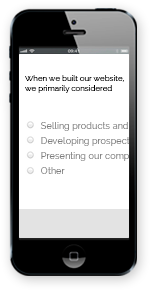 We initially wanted to know how we were doing in Marketing and Sales and ended up taking, additionally, the Leadership and the True Nature assessments. For our business it is of paramount importance to know that we are on the right track strategically and tactically. Tooliers® helped us discover our unexploited potential, some new strengths in our niche market, as well as the areas where we were wasting resources. The four tools were priceless; money well spent. The results of the evaluation led us to a management paradigm change, that helped us re-shape our goals. including information about beer making or nutritional and health information in the bar's food and drinks menu and promotional materials. strike a partnership with another bar from a different area of New York, that has the same target market. Each bar gives a free drink voucher in the other bar, offered together with the bill. This way, both bars push clients from one another, keeping their clients close. partner up with five stores (5 min walk from the bar) by offering a free drink to anyone that buys merchandise of $50 or more. This way, the shop gives a present to its clients, and the bar gets more openhanded clients into its premises. These clients come in usually during the dead time of the bar (2pm – 6pm). Thus, this is a way of generating a nice additional profit, without any investment or cost. upload photos and videos with the bar's fantastic atmosphere on social media channels (facebook, google+, youtube) and review sites (tripadviser). bar's online image improved and new customers attracted. If you own or run a small to midsize business you can use Marketing Lens™ to grow your business in a similar way. The 7 minutes diagnosis is available here. 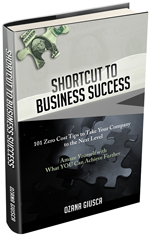 Thanks for your interest in Shortcut to Business Success! An email with 15 Zero-Cost Tactics to Attract More Customers has been sent to you. Please check your spam filter if you don't find it in your inbox, and ensure you add office@tooliers.com to your trusted emails list. Discover NOW why you are not attracting the customers you want for your business. Use Marketing Lens™, a business growth tool designed to help small business owners attract more customers. An email describing where you leave money on the table has been sent to you. Please check your spam folder if you don't find it in your inbox. To ensure you get all the value from Tooliers® make sure you add office@tooliers.com to your trusted emails list. Discover NOW why you are not attracting the customers you want for your business. Use Marketing Lens™, the business growth tool designed to help small business owners attract more customers.